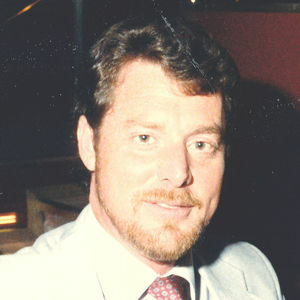 William C. Webb "Bill", 64, of Owensboro passed away Tuesday, January 29 at his home surrounded by his family. Mr. Webb was born May 20, 1954 in Owensboro to Joyce Howell Webb and the late William David Webb. Until his retirement in January of this year, Bill owned and operated Montgomery & Webb Plumbing, Heating & and Air. He loved his work family: Judy, Mike, Terry, Gary, Matt, Daniel, Jordan, and Shelby. He enjoyed NASCAR and Wednesday night card games with his friends. Bill spent many pleasurable days boating, fishing, and cooking at his Rough River home with family and friends, Tom and Kathy. He had two beautiful daughters and six grandchildren which he was so proud of. Those left to cherish his memory include his beloved wife of 46 years, Darlene; his dear mother, Joyce Webb; daughters, Jeannie Jewell (Michael) and Shannon Leonard (Brian); brother, David Webb (Debbie); sister, Becky Hodskins (Jim); grandchildren, Brett Knott (Nikki), Beau Knott, Tanner and Annie Leonard, Madison and Michael Jewell; father-in-law, Gilbert Simmons; sister and brothers-in-law, Judy Eubanks (Ernie), Gary Simmons (Karen), and Scott Simmons; many special nieces and nephews. Special thanks to Davita and Hospice for their excellent care. Bill was blessed to have amazing, loving family and friends that gave him so much love and support. The funeral service for Bill Webb will be 10:00 am Friday at Glenn Funeral Home and Crematory with burial in Rosehill Cemetery. Visitation will be Thursday from 3 till 7 pm and Friday after 9:00 am at the funeral home. Expressions of sympathy may take the form of contributions to Juvenile Diabetes Research Foundation to help care for children like Bill's grandson, Tanner. Envelopes will be available at the funeral home.